This week I write from Germany and a media event to mark the 40th anniversary of the InterRail pass: a rail ticket allowing passengers to travel (up to one month) on roughly 250,000km of rail track across 30 European countries. 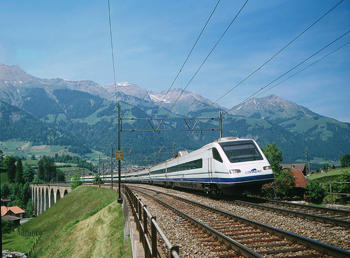 Launched in 1972, the InterRail pass enabled young people (aged 21 and under) to explore Europe. Forty years later and the pass is available for all ages. During this time the European map (its territories and borders) has changed: the fall of the Berlin Wall, dismemberment of the Soviet Union and of Yugoslavia, and the expansion of the European Union and Schengen zone, which have created a borderless space for mobility. As I am learning here in Leipzig, InterRail enables a unique cross-border perspective on the changing nature of Europe – a trainspace, perhaps. Trainspace is an analytic concept proposed by Cidell (2012:3) to evoke “the space(s) constructed or maintained by the (im)mobility of trains, in both discursive and material forms”. The concept is introduced through Cidell’s exploration of freight transportation in Chicago’s suburbs. The case study explores the proposed purchase of a beltline railroad around Chicago by Canadian National Railroad, and the opposition raised by local American communities. While concerns over safety and risk were significant, Cidell shows how these were expressed in terms of disruption caused by a foreign railroad. This conflict, Cidell argues, revealed underlying fears of national control being eroded by a new transnational space (in terms of railroad ownership and the global flows of goods it could engender in Chicago’s suburbs). Cidell’s trainspace encourages us to think about the effects of transport infrastructure beyond the site of the infrastructure itself. Applying this to InterRail, I am led to think in terms of the connected (rail)routes through which people flow and come to know a Europe: a significant component of transnational processes in a changing world. 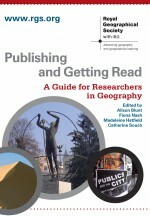 This entry was posted in Early View, Transactions of the Institute of British Geographers and tagged Chicago, Environment and Society, European rail, freight, InterRail, Mobilities, railroads, Scale, Transnationalism, transport, Urban Geography on June 5, 2012 by fionaferbrache.